Therefore her plagues will come in one day—death and mourning and famine. And she will be utterly burned with fire, for strong is the Lord God who judges her. . . . In Revelation 18 it is stated that Babylon’s judgment will come swiftly—“in one hour”—and is mentioned twice in verses 8, 10 and 17. But is that possible in this day and age? The simple, direct answer is, yes, but first let us take a look at America’s financial foundation and the financial stability of the world before reaching any conclusions. United States of America’s National Debt. On October 18, 2013 America’s National Debt was rapidly advancing past $17 trillion or 107 percent of GDP (Gross Domestic Product). To gain a perspective on the significance of America’s debt one should look at the history of America’s indebtedness as well as compare the current national debt to that of some other countries. At the end of 1929 America had just suffered a major financial collapse. The national debt was a mere (by today’s standards) $17 billion or 16 percent of GDP. By the end of 1933 and with advent of President Franklin Delano Roosevelt’s “New Deal” Great Depression recovery plan, the United States was $23 billion in debt or 40 percent of GDP. At the end of 1941 and just after the country entered into World War II against both Germany (and the Axis powers) and Japan, the national debt stood at a manageable $49 billion or 39 percent of GDP. When World War II ended in 1945 at a cost of $296 billion for the United States, by the end of 1946 America’s national debt had soared to $269 billion and a historical high of 121 percent of GDP. During the post-war recovery the debt remained relatively stable from 1946 to 1960, ranging from $252 billion in 1946 to $286 billion in 1960. During the same period the debt to GDP ratio steadily declined from 121 percent to 54 percent. During the decades of the 1960s and 1970s the debt grew steadily, but the GDP growth rate exceeded the debt growth rate so that the debt to GDP ratio dropped further to a post-World War II low of 31 percent by the end of 1981 but just before the recession of 1982 hit. Just before the start of Ronald Reagan’s first presidential term, the national debt had risen to just under one trillion dollars—$908 billion or 33 percent of GDP by the end of 1980. During the Reagan presidency of two terms the national debt more than doubled to $2.6 trillion or 51 percent of GDP by the end of 1988. During the two presidential terms of William Clinton the debt grew modestly from $4.4 trillion to $5.674 trillion while the debt to GDP ratio fell from 66 percent to 57 percent. From 2001 to the end of 2008 (the George W. Bush presidential years) the debt climbed significantly to a little over $10 trillion or 70 percent of GDP. Although this increase in indebtedness was dramatic, America was about to become shell-shocked. With the election of Barack Hussein Obama in 2008 as the country’s president, America would witness the reality of a big-spending government behemoth like never before. By July 4, 2013, less than six months into his second presidential term, President Obama has overseen the growth of the country’s debt to $16.9 trillion or 107 percent of GDP. By the end of his second term (if the taxpayers allow him to get there), the national debt could well exceed $20 trillion. If so, he will have accumulated more debt than all 43 presidents before him and the United States will be on the verge of financial ruin (if not before then). If some people get any cheer out of a $328 billion debt ceiling, I do not find much to cheer about concerning it. (Congressional Record, June 16, 1965, p. 13884). In the world of American politics and financial mismanagement, the way to deal with the ever skyrocketing debt is not to restrain spending but just to raise the level of the amount one is allowed to spend. A similar philosophy followed by the American taxpayer would soon land them in prison. Debt to GDP Ratios Around the World. The one most commonly used measure of a country’s economic health is the Public Debt to GDP (Gross Domestic Product) ratio or percent of public debt a country owes compared to their GDP. Public Debt is the amount of money the federal government owes itself and other creditors. With America’s debt to GDP ratio at 107 percent and rising daily, how does the country measure up to other developed countries, as well as third world or undeveloped countries? Global Finance reported on the Public Debt to GDP projections for 2014 for OECD (Organization for Economic Co-operation and Development) countries. The OECD includes just about every developed and developing country in the world. The debt to GDP for all OECD countries is projected to be 113 percent. The worst country by far is Japan at 246 percent. Japan is followed by the European Union countries of Greece (200%), Portugal (135%), Italy (131%), Ireland (128%), United Kingdom (114%), France (110%) and Spain (105%). All of these Euro countries are in significant financial trouble and turmoil. The United States is projected to be at 114 percent debt to GDP, the same as the UK. Other European Union countries, such as, Switzerland (39%), Germany (85%), Sweden (47%), Norway (43%), Finland (54%), Denmark (48%) and the Netherlands (72%) are looking much better. By comparison, how do some of our non-European allies and adversaries look financially? Of the United States’ clear allies, Canada appears to be in the worst shape but still healthier than the U.S. Canada’s projected 2014 debt to GDP is 86 percent. Australia, a long term U.S. ally, on the other hand, is far healthier with only a 28 percent debt to GDP. However, two of America’s long term antagonists and adversaries are also very healthy financially. China has a 2014 projected meager debt to GDP of only 17.3 percent and its neighbor to the north, Russia, at merely 10.8 percent. Ironically, the United States has not been near that level of debt to GDP since the financial crash of 1929 when debt to GDP was at 16 percent. Clearly, the majority of America’s long-standing allies in Europe are battling tremendous financial pressure, while its two largest and most bellicose decades-long enemies are financially strong and in a much better position to threaten the United States at every level of diplomacy or future military confrontation. . . . The Derivative Financial Volcano. Men around the globe in general and Americans in particular, in their greedy quest for wealth and more wealth, have been led and known to do some very foolish things. It was greed that led, in part, to the “Crash of ‘29” and the ensuing “Great Depression”. It was greed that led to the real estate and banking collapse in 2008. The only question is not if another financial collapse will come, but how soon? In the Bible there is a stark warning to all those who make money their god. In his first letter to his disciple, Timothy, the Apostle Paul wrote: “But those who desire to be rich fall into temptation and a snare, and into many foolish and harmful lusts which drown men in destruction and perdition” (1 Timothy 6:9; author’s emphasis). Paul knew human nature and that the temptation to be rich was more than most men could deny. “For the love of money is a root of all kinds of evil,” Paul continued, “for which some have strayed from the faith in their greediness, and pierced themselves through with many sorrows” (verse 10; author’s emphasis). It is not money that destroys men’s lives—we all need a form of money to live—it is the love of money that draws men to do all kinds of evil. “But you, O man of God,” Paul warned, “flee these things and pursue righteousness, godliness, faith, love, patience, gentleness” (1 Timothy 6:11). Because of modern man’s lust for money and more and more of it, there is one foolish financial move over the decades that could come back to haunt him and financially destroy the big and small fortunes of millions of people and the hopes and dreams of current and future generations for years to come. So, what exactly is a derivative? They were at the center of the 2008 real estate and banking collapse. A derivative is a type of options contract—a gamble that some underlying investment will go up or down in the future. Derivatives are largely “imaginary” investments with little or no intrinsic value. In essence, rather than a true tangible investment, they represent more of a “crap-shoot”—a horrific gamble by men driven by an insatiable appetite for wealth and more of it. The future impact, when the derivative market unravels, will be catastrophic and unfathomable. Steve Denning, in an article for Forbes, in an explanation for the financial collapse of 2008, wrote “the warning signs were everywhere: too much borrowing, foolish investments, greedy banks, regulators asleep at the wheel, politicians eager to promote home-ownership for those who couldn’t afford it, and distinguished analysts openly predicting this could only end badly. The worldwide derivative estimate: $600 trillion to $1.5 quadrillion (that is $1,500 trillion or 1.5 followed by 15 zeroes). At the upper estimate, the financial risk is 20 times the entire global GDP, which was estimated to be around $75 trillion in 2012. “. . . The root cause wasn’t just the reckless lending and the excessive risk taking,” Denning explained. “The problem at the core was a lack of transparency” [among financial institutions]. The worldwide exposure to derivatives is anyone’s guess. Estimates range from $600 trillion to $1.5 quadrillion (that is $1,500 trillion or 1.5 followed by 15 zeroes). At the upper estimate, the financial risk is 20 times the entire global GDP, which was estimated to be around $75 trillion in 2012. No one really knows what the world financial markets exposure is to these worthless financial “investments”. The Current Problem: Many financial analysts and financial writers like Denning are warning that the next financial crisis, which they see as imminent, will make the burst of the financial bubble of 2008 look like a blip on the financial radar screen. Denning points out that one financial institution alone, JPMorgan, at the end of the third quarter of 2012, had a “notional” (that is, “imaginary” or “speculative”) exposure to derivatives of $72 trillion or about five times the world economy at that time. According to the United States Controller of the Currency office, at the end of 2012, American banks held an astounding $223 trillion in “notional” derivatives with only four of the nation’s largest banks holding 93 percent of the total. The Flash Crash and Electronic Meltdown—In One Hour. So, is it possible, in this day and age, for America’s financial system and that of the world to collapse in one hour? Absolutely! Not only in one hour, but perhaps in a matter of seconds. With absolutely everything tied together by computer systems, electricity and electronics it would not take much to create havoc with a nation’s or the world’s financial system and life in general. On July 29, 2013 a panel of experts convened in Washington, DC to consider the level of the threat on the U.S. infrastructure via an electromagnetic pulse (EMP) attack, whether naturally occurring or via terrorists or a nation-state. The panel included R. James Woolsey, former Director of Central Intelligence under President Bill Clinton; former Speaker of the House, Newt Gingrich; Ambassador Henry Cooper, former Director of the Strategic Defense Initiative Organization under President George H. W. Bush and Dr. Peter Vincent Pry who served on the Congressional EMP Threat Commission. They assessed America’s vulnerability to a natural or enemy attack by means of an electromagnetic pulse coming from the sun or a nuclear device. They concluded that the U.S. is extremely susceptible to EMP disruptions whether natural or from a lone terrorist or a rogue government. On a smaller, local scale, many people have had the experience of a temporary interruption in electrical power or use of electronic devices due to a powerful thunder (electrical) storm. On a grander scale, such interruptions can be caused by the electromagnetic pulses sent from the sun as a result of solar flares or solar storms. Such natural EMP events can be regional or wide spread; can be minor inconveniences or devastating. Mr. Woolsey pointed out that an EMP event originating from the sun struck the electrical grid in Quebec, Canada on March 13, 1989. The solar geomagnetic storm resulted in the blackout of eastern Canada and billions of dollars in economic losses. Within two minutes the entire Quebec power grid was shut down and millions thrown into darkness and winter cold. Schools, businesses and transportation hubs were closed. The impact affected some northeastern U.S. power grids as well. The energy released during the event was estimated to be like thousands of nuclear bombs exploding. The geomagnetic storm that it created resulted in spectacular “northern lights” being seen as far south as Florida and Cuba. Over 200 power grids from coast to coast in the United States experienced disruptions. Even some satellites were affected, tumbling out of control for several hours. Although such solar geomagnetic events are relatively rare, Mr. Woolsey warned . 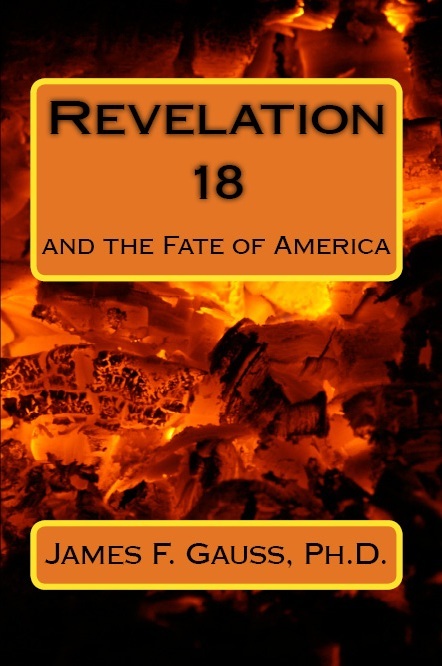 . .
For more on America’s financial crisis, read Revelation 18 and the fate of America.